Hello lovelies, today I have for a post all about tea! Who doesn't love a good cuppa? I find it so weird when people say they don't like tea or coffee, but then again it sounds even weirder when people say back to me how can you drink hot water with basically weird herbs in, well because its delicious. There is no difference in Dragon fly tea either, they really are delicious! 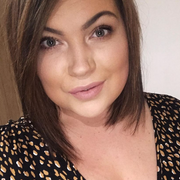 I've been trying for so long to try and drink more green tea, the benefits seem to be amazing, weight loss, improves brain function (best drink a gallon), it can kill bacteria in your body, improves health in many ways. So every morning for the past few weeks I've been switching around these three samples I got given. 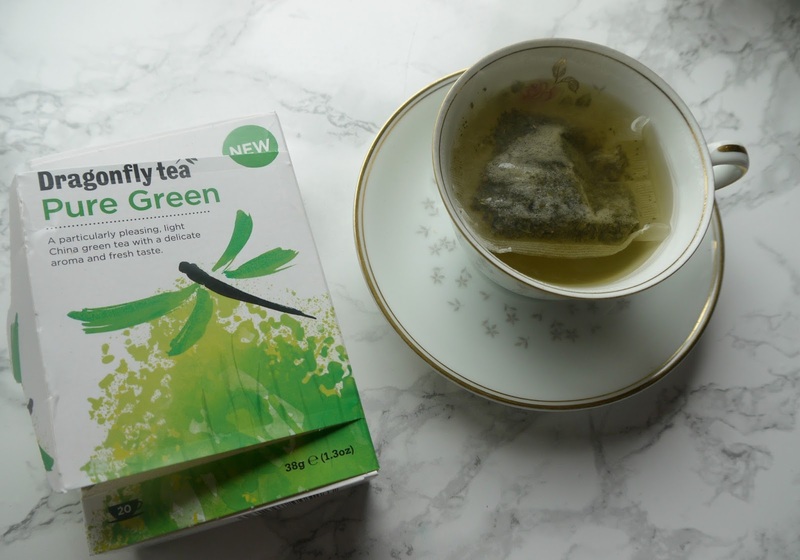 Dragonfly Pure green - It really was a pleasure to drink, I don't like many green teas I've tried in the past hence why I have given up but I actually really enjoyed this, its fresh and delicate, my fiance even enjoyed it and he is really fussy, he would never usually drink green tea! Dragonfly Berry green - This was yummy! Once you've took that sip you get all the berry notes left in your mouth, this was actually gorgeous filled with ice too, a berry iced tea beautiful and perfect for this heat wave were having. Dragonfly Citrus green - Probably my least favourite out of the three but I could still drink it, it is refreshing on the taste buds with the zingy lemon taste. 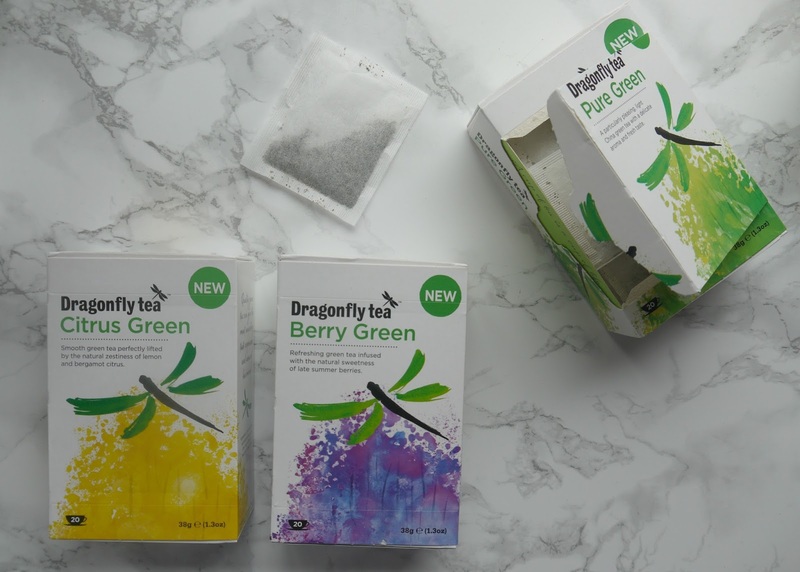 I'd never heard of Dragonfly tea before so was super happy to trial these out, super impressed with the pure green tea and finally in a good routine of having a cup once of a morning, lets hope it shifts these pounds ready for my holiday in September. They are super affordable too, I have linked them to their actual website but you can get them in various health shops and Tesco's I believe. Have you tried Dragonfly tea? If not and you were always pulling your nose at previous green teas I couldn't recommend them enough.